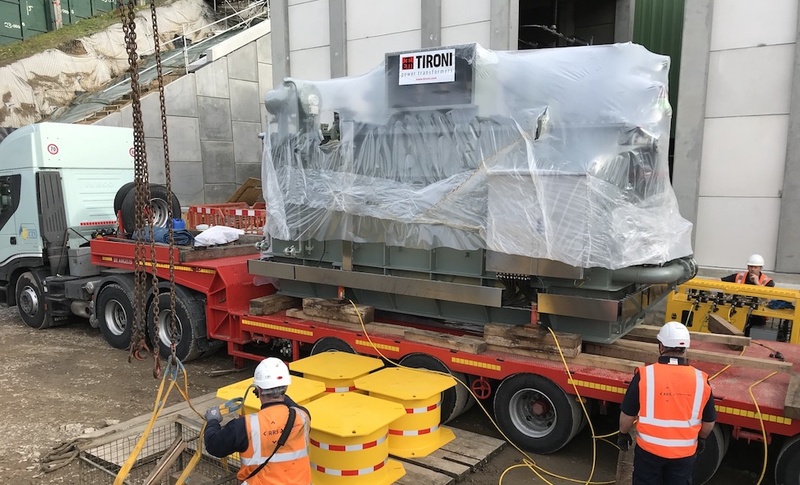 Rapid Response Solutions (RRS) has once again combined haulage, lifting, and hydraulic skidding expertise to unload and install two 50t transformers at Jersey Electricity’s £17m primary substation project at St. Helier West on the Channel Island. 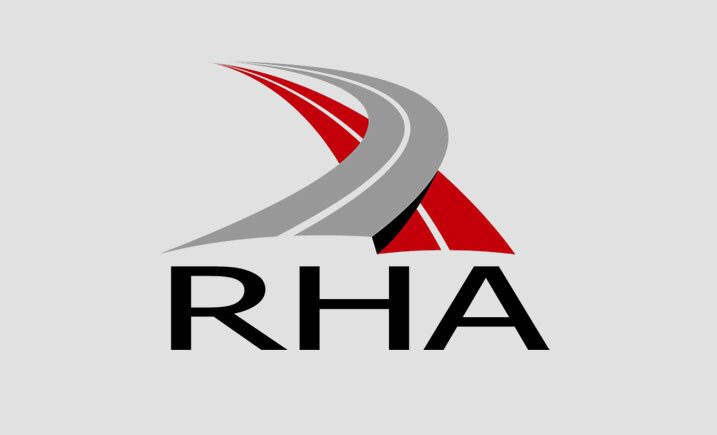 RRS, a Portsmouth, UK-based lifting, transport, and storage specialist, expanded its fleet of Hydra-Slide products to fulfill a scope of work for CTS S.p.A, which was tasked with installation at the disused quarry site at Westmount Gardens. 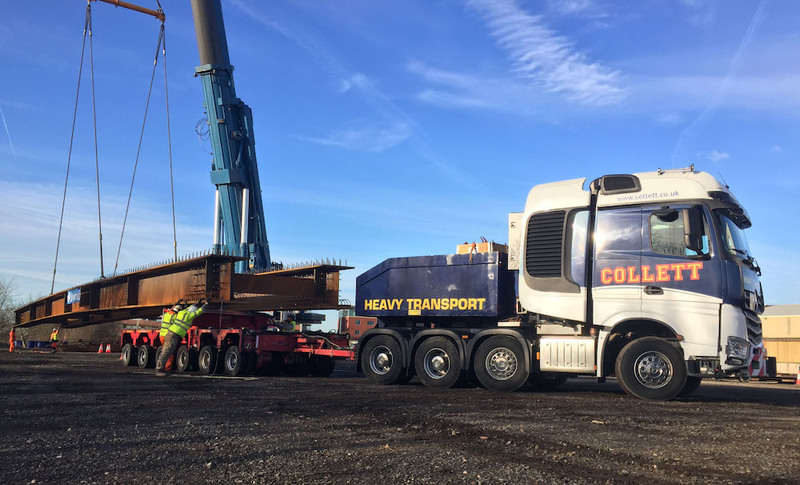 A new TT150-6, 150t capacity hydraulic turntable; 23-2-4P synchronous Hydra-Pac power unit; and eight 100t working load limit (WLL) support stands, complemented its existing 270t capacity HT300 heavy track hydraulic skidding system; 310t capacity LP350 low profile unit; and AS450 alignment shoes, used for final positioning of loads. RRS equipment was utilised upon arrival of the approx. 6m by 2.6m by 3m transformers from Italy. The first challenge of note was turning the units on the CTS vehicle, before they could be slid into an existing opening in the side of the new building and then across to foundation slabs. Prior to that, however, RRS utilised a loader crane mounted to the vehicle upon which the equipment travelled to lift the pieces of the turning and skidding jigsaw into place. The Fassi F365—a 36t/m crane—offered the team 2.5t of lifting capacity at a 12m radius. It also eliminated the need for an additional lifting machine. There was only approx. 100mm of clearance on each side of the transformers, manufactured by Italy’s Tironi, at times during the first 12m slide. Once in the building, the units were jacked up off the HT300 and placed onto the LP350 for the final 9m slide onto the foundation slabs. Once on the slabs, the LP350 was removed and the alignment shoes employed for final positioning. Barber recalled that the first lorry was escorted from the site at 2pm on the Tuesday, while the second truck was escorted in at 8pm that night. 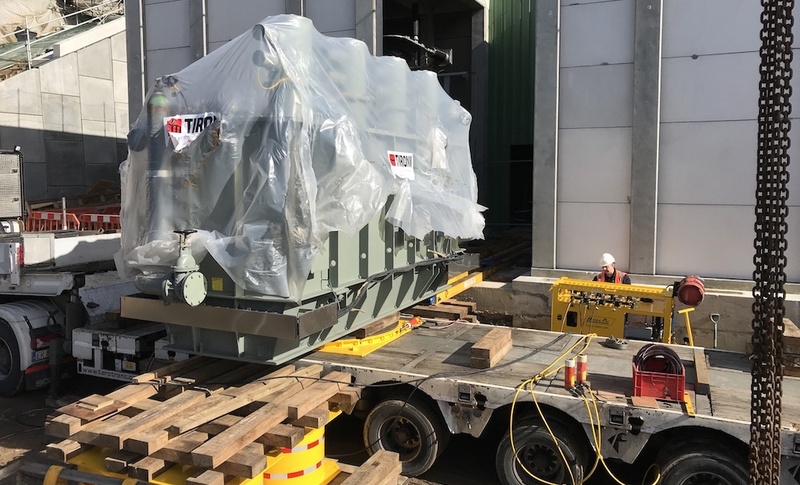 The second transformer was unloaded in the same manner on the Wednesday; Thursday was used to load the skidding and other equipment back onto the transport. 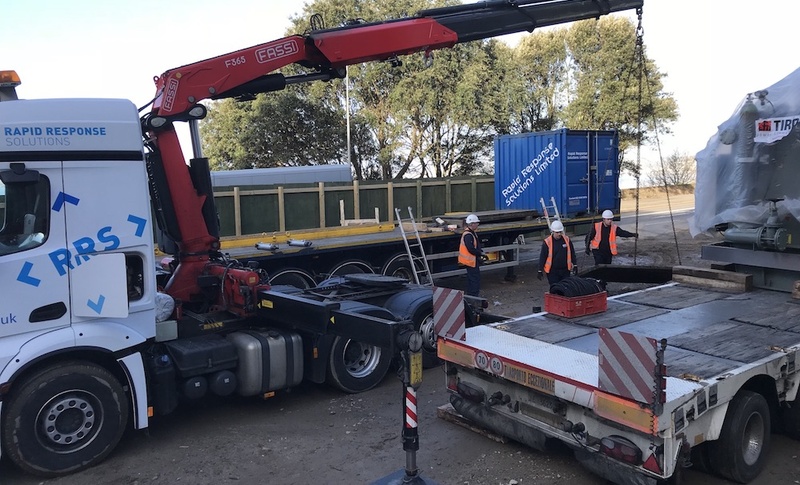 However, RRS’s work wasn’t done; the following day, the ancillary equipment turned up on sliding roof trailers that was unloaded as part of a contract lift using a 40t crane from a local rental firm. The synchronous power unit powered four 100t WLL cylinder jacks, the turntable, both skidding systems, and the alignment shoes. Beneath the (yellow, cylinder-like) support stands, 3m by 1.5m by 100mm timber mats were laid on sand to level out the uneven ground.